So you bought a precon. And why wouldn’t you? You got some cool generals and there was a lot of value in that box, that’s a pretty smart purchase. But if you want to be able to build more decks, or different decks, then you’re going to need a larger pool of cards. You’re going to need a solid EDH collection. 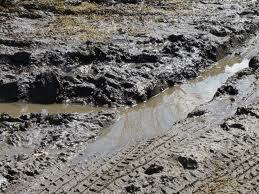 This is going to take a slow and measured effort, spread out over the course of many months or even years. Or, instead of that boring crap, we can take the Bonvie approach: quick and dirty. Emphasis on the dirty. I hope you weren’t wearing your whites. Acquiring a good starter’s EDH collection on the cheap is relatively easy to do, if you’re willing to exploit the price difference between cards that are good for EDH and cards that are staples in other formats. Thanks to the fact that you can’t really make money playing EDH, staple cards for us tend to be way cheaper than they are for formats where they have winnings at stake. And that’s lucky for us. For the patented Bonvie instant-card-to-collection method to work, you’re going to need two things: a chunk of value and somebody who wants to trade for it. Let’s start with the chunk of value. If you are just now getting into commander from other formats, or just getting back into Magic after falling off the wagon, then you may already have a chunk of value that you don’t know about. Just go through your old cards and see if any of them are worth some shiny coins. Cards with a total value of a hundred or so bucks should be good, and each individual card probably shouldn’t be worth any less than thirty dollars to entice this trade. If you aren’t lucky enough to happen to have a high value card just laying about, don’t panic. There’s another good way, but it’s gonna involve about a hundred dollar investment. You’re going to buy a box. If you can find this box, buy it. Just do it! The cost is literally irrelevant. Specifically, you’re going to buy a box of a set that contains high value rares. (Not mythics, but rares. We don’t want to test our luck too much.) To keep the price of the box cheap, you’re going to need to buy a relatively recent set. So you’re looking to try and open some modern or standard staples (Return to Ravnica block would be a good call, thanks to the shock lands and the cards still being in standard). Once you have the box, go through it and find the biggest and most expensive rares you’ve got. Good, now don’t get attached. We’re about to trade those. Specifically, you’re going to want to trade your chunk of money to someone who will value your cards highly and has a large collection of their own. People who make a hobby of trading are good choices, as they will likely be eager to shrug off their bulk rares unto you for a card that they are far more likely to be able to move. Enthusiasts of standard, legacy, or modern are also good choices, depending on what cards you have. The goal here is to take a small number of cards with relatively high value and turn them into a large enough collection to allow you the flexibility to make many decks. I have seen this happen many times and firmly believe it is the best way to quickly amass not just a workable EDH collection, but a really good one. You’re going to be trying to trade for lots of power uncommons (black removal spells, green ramp, blue counters, etc.) and lots of cheap staple rares (try not to grab any rare worth much more than 5 bucks during this trade, they add up fast). When you’re done, you should have a huge stack of cards with a wide variety of options for every colour, and a new friend who is very happy that you turned his bulk into something shiny and expensive. 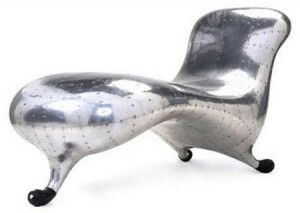 I googled “shiny and expensive” and this chair popped up. I am confused and upset by this turn of events. If you turned an old card into this stack, good job! You just got an EDH collection for all the effort it took to look through some old boxes. 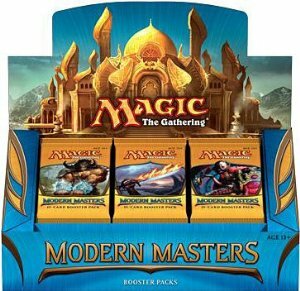 If you bought a box, then now’s the time to go through that sucker and see if there are a bunch more cards that you can add to your newfangled EDH collection. And voila! This is actually how I got my EDH collection started, once upon a time. During New Phyrexia’s release, I opened a Sword of War and Peace. I knew I wanted to make a blue Braids deck, so I went and also managed to open a Gideon Jura (back when people still cared about him). I then went and turned Gideon and that sword, just two cards, into a full EDH deck and a fairly healthy trade binder. I was ecstatic. And now I have come full circle and got to experience it from the other side. My buddy who is just getting into EDH managed to find an old Tempest Wasteland just laying around, and I offered to turn it into a bunch of cards he could use for his Erebos deck, and some other staples if he wants to explore different colours. I walked away with a hundred dollar card, and he walked away with enough cards to get started on any deck he wanted. (Including cards like Sol Ring, Skullclamp, Phyrexian Arena, Solemn Simulacrum, and about a hundred other assorted staples.) Both of us were pretty happy about it. This experiment, in addition to being a good way to start a pool of EDH cards, is also a crash course in good trading and the equivalent of a shopping spree for a new player. And whoever he’s trading with gets some good value cards, and the promise of a new EDH player with a solidly improved deck. I don’t know if I believe in actual win-win situtions, but this comes pretty damn close. Eric Bonvie can be reached at EricBonvie@gmail.com or @ThatBonvieGuy on twitter, when he isn’t going through his entire damn Magic collection in order to build an EDH gift box.